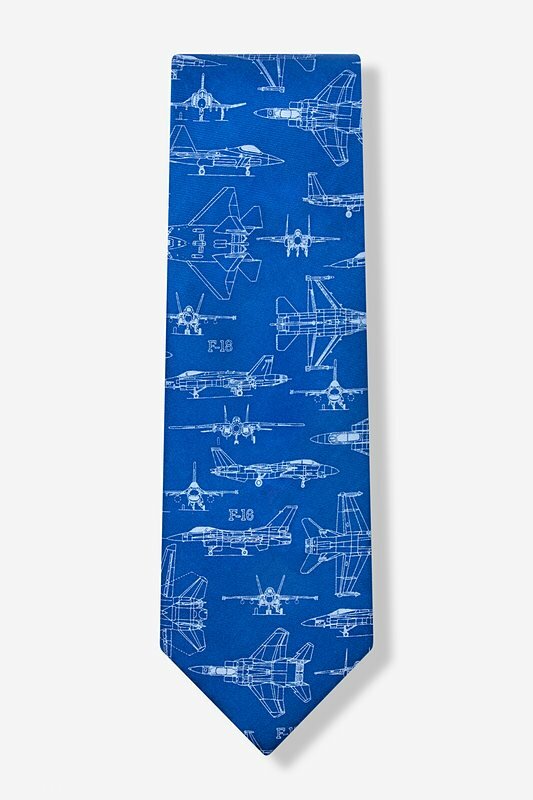 You don't need to be a Top Gun to satisfy your need for speed. 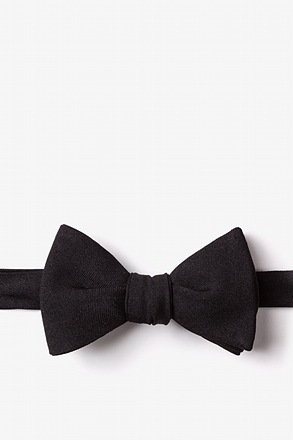 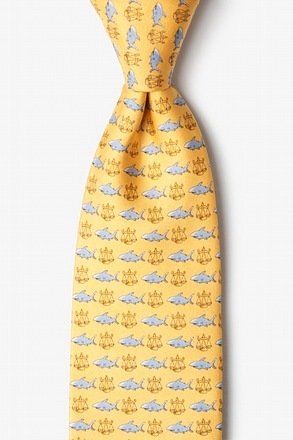 Not with this silk tie, at least. 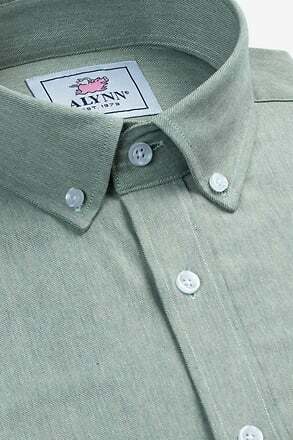 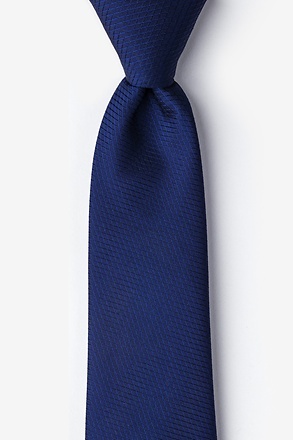 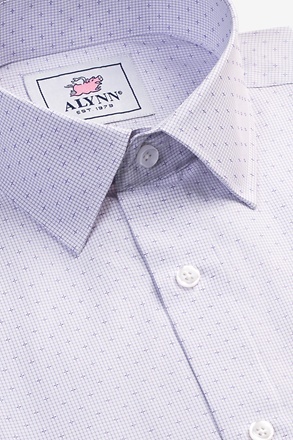 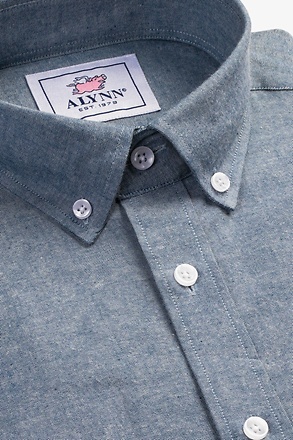 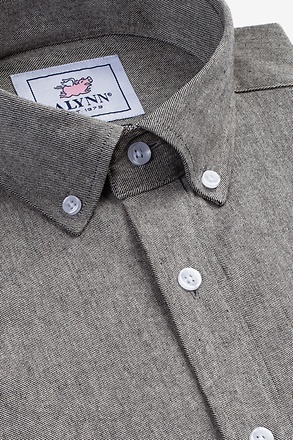 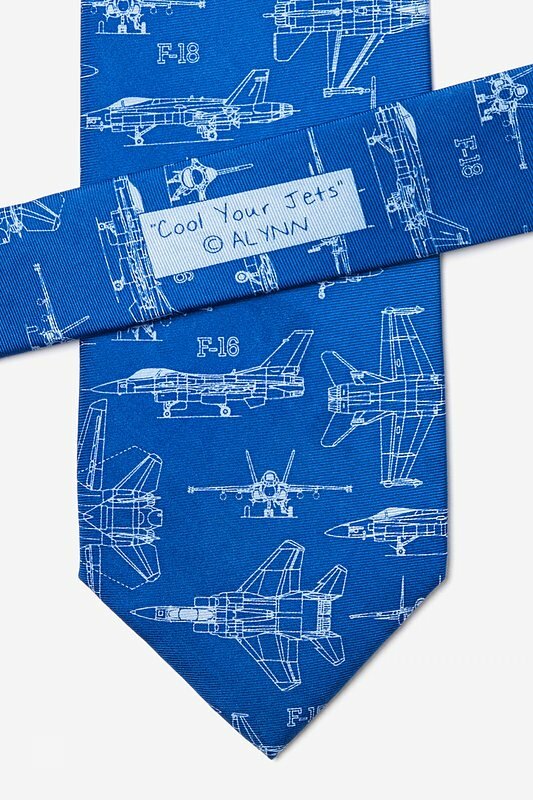 This bright blue tie by Alynn Neckwear comes equipped with a series... read more You don't need to be a Top Gun to satisfy your need for speed. 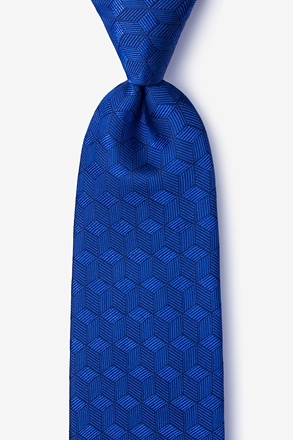 Not with this silk tie, at least. 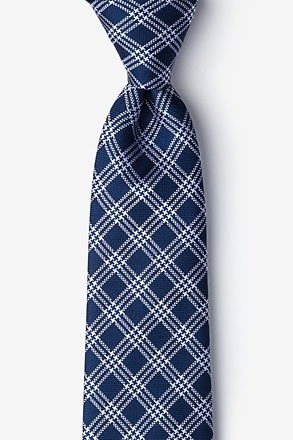 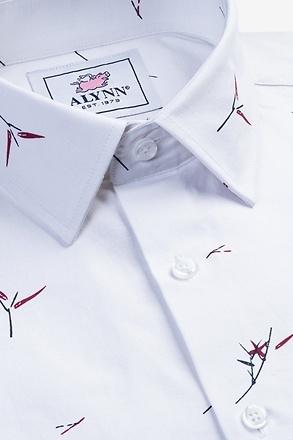 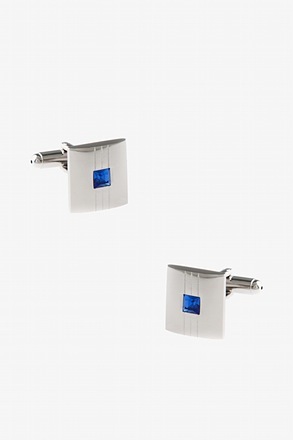 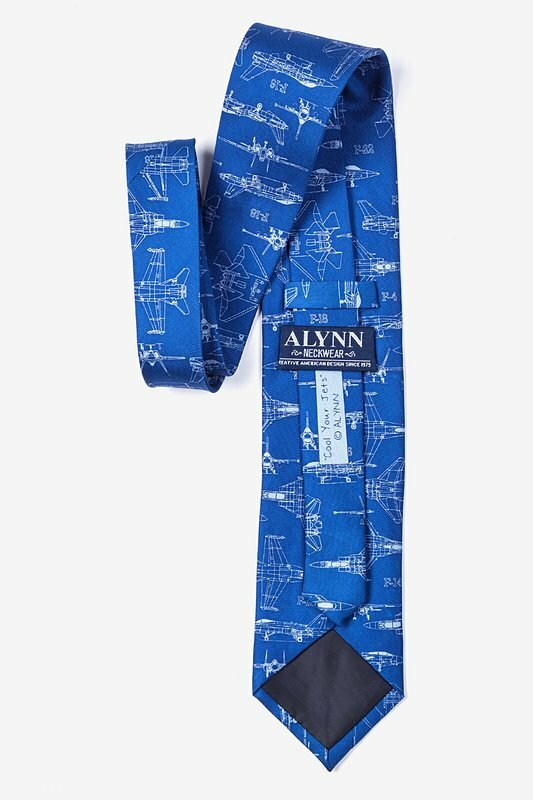 This bright blue tie by Alynn Neckwear comes equipped with a series of military fighter jets outlined in white for the aviation aficionado in all of us, top gun or not. 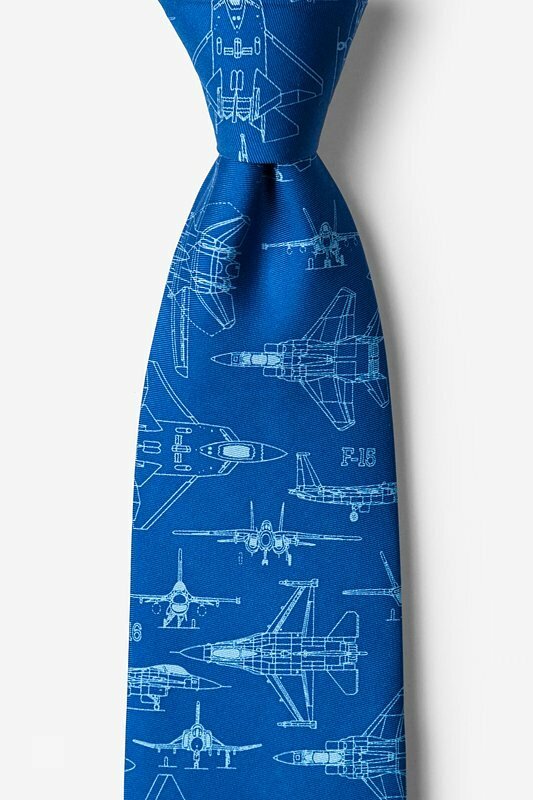 A bright, beautiful silk tie for the airplane lover. 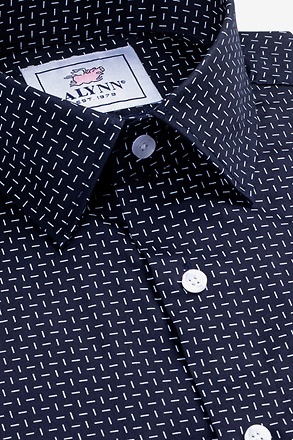 It comes in black also, both are good-looking.